Last Wednesday, March 29, the United States Mint released its annual set of the year’s regular coins in proof quality. 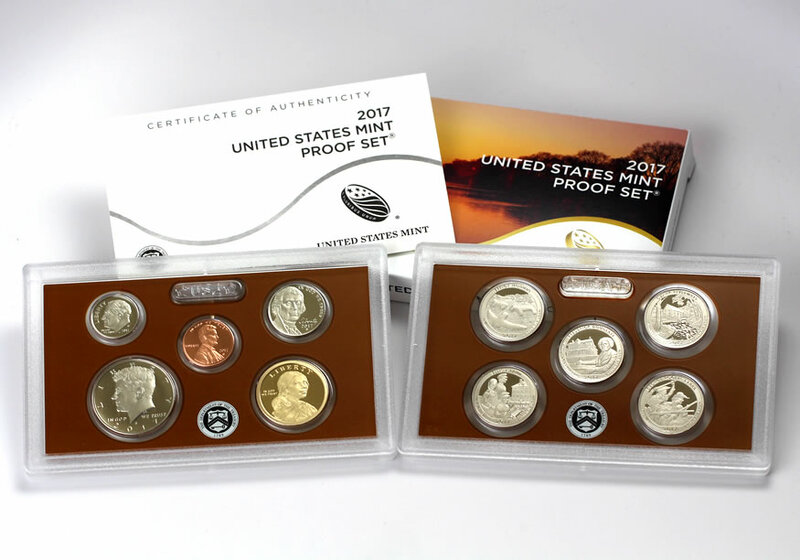 The 2017 Proof Set logged 5-day sales totaling 194,989. *The 2016 Proof Set is still available, advancing in sales by 936 from a week ago to 590,732. The U.S. Mint published sales data for 274 numismatic products. One hundred and eleven outperformed their prior weekly gains compared to 143 previously. Eight of them increased by more than 1,000 units compared to 6 previously. Seven products saw their sales total reduced compared to 5 previously. One of them fell by more than typical, the 2017 Effigy Mounds Quarters Three-Coin Set declined by 283. Below are tables showing the latest sales for U.S. Mint numismatic products. The sales period covers March 27 to April 2. Products with an asterisk (*) are no longer available. Boy’s Town is not even promoting their coin on their website. Sad. 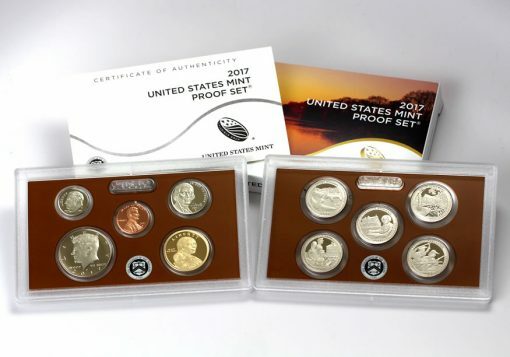 anyone know when the 2017 s (SILVER) Proof Set will be released ..any date ? The proof sets highlighted in this article have a negative trend. Year over year sales have been dropping from 2007 through last year, with some small exceptions. There were 1 million more sales in 2007 than 2015. From 2010, the first year without state quarters, to 2015, is a 440,000 drop. Is the conclusion that the stat quarters were that popular and the ATB quarters are not, or some other conclusion?